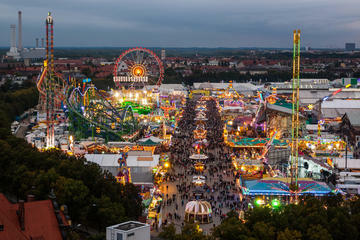 Oktoberfest Munich will be the largest festival in the world for 2019. Over 6 million people travel to Germany for the event. Stuck in the United States? No problem. 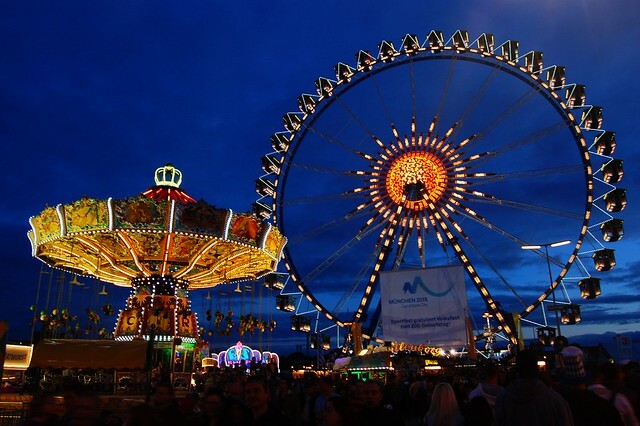 Oktoberfest 2019 is celebrated around the world starting in September (so don’t miss it!). We provide information about hundreds of German festivals across the U.S. running on weekends from late August to October. September will be here before you know it. So plan your trip. Find your dirndl or lederhosen. Get ready to enjoy the German beer and food. And learn more about the event here at Funtober. We’ve got all the information here that you need to enjoy Oktoberfest. Need help planning your trip to Munich? Done. Can’t get the time off work and want to enjoy Oktoberfest locally? You’re set. We’ve spent countless hours finding local Oktoberfests in the United States as well as putting together Oktoberfest party ideas for those who prefer to do it yourself. For those of you dying to find out why Oktoberfest starts in September, we put together this history of Oktoberfest. And if you just want to know when you get to drink the beer in Munich, you can skip straight to the section on upcoming Oktoberfest dates. Our Oktoberfest guide is helpful to two distinct audiences. Those who are going to Munich to celebrate in person. And those who can’t make it from the United States. There’s no better place in the world to enjoy Oktoberfest 2019 than Munich. That’s the reason that six million people choose to toast a mass of beer there for three weeks during the Fall. If you are planning to go, you’ll find most of the information you need to make your trip a success here. From finding flights to Munich, to local transportation, to where to stay in Munich, we’ve got you covered. We’ll even help you speak German and figure out what to pack for the weather. We’ll make sure you are ready for the weather, know the words to the popular oktoberfest songs, pick the right beer tent, and even have the right clothing to wear to the party. The World Health Organization announced that Germany was only the 23rd drunkest country in the world a few years back. They obviously need a bit of American assistance to move up in the rankings, and would definitely welcome your visit. In this spirit, we’ve put together a ladies guide, a guide for doing Oktoberfest with kids, and a few other tips. When you are done drinking your Oktoberfest beer, you’ll enjoy the other Oktoberfest activities. And when they have turned the taps to the kegs off, you can continue the party at these bars, clubs and beer gardens. 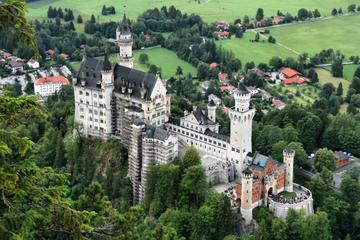 We’ve also put together an extensive travel guide for the city of Munich. As long as you are going to be in Munich, you would be crazy to spend all of your time drinking. There’s fantastic things to do in Munich, including incredible dining, tremendous museums, beautiful theatres, and world class shopping. We’ll get you educated about Munich history, suggest some other cities in Europe to visit before or after Munich, and send you on your way. 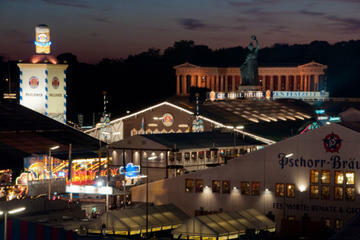 Whether you are doing Munich with kids or alone, you’ll have a great time there during Oktoberfest. There’s only one thing left to do: exchange your money! One of the largest Oktoberfests in the world is in the United States. And almost every community throws an Oktoberfest celebration, so we’ve put together a list of the biggest Oktoberfests here, as well. We’ll help you find your Oktoberfest costume for it, or give you all the right ingredients to party at home. From food recipes to the best Oktoberfest beer, we’re there. With all of this, we cannot accept your excuses for failure to drink appropriately. Wow. You read all that? Here’s some Oktoberfest facts to entertain you before you go. But that’s all we’ve got at this point, folks.